Today I visited grandma and grandpa and we enjoyed “Kaffee und Kuchen” as we say in Germany, and that means enjoying coffee and cake. But it’s not to be taken literally, because I don’t like coffee and I always drink something else. I ate a “Bienenstich”, that’s a bee sting cake and very delicious. I believe “Kaffe und Kuchen” time is very similar to the british tea time, it’s more about coming together to chat. We talked about our family history today, and grandpa told me that one of his nephew lives in Peru since a long time already because he married his love of life. His nephew is ship’s captain, that’s how he found his love somewhere else. My grandpa doesn’t have a lot of contact to him, but it was an interesting story anyway and pretty new to me. Grandma talked about Sweden again because her ancestors are Swedish, but I always knew this. I saw several countries in Europe, including Denmark, but I told my grandma that it’s a shame that I’ve never been to Sweden. Grandma and grandpa continued, and told me that they have been in Denmark, in Norway and Sweden. Grandpa and his band played on ships before they settled with their music locally in Northern Germany. He told me how they saw different seaports in Northern Europe, he told me how he liked Bornholm, the small Danish island in the Baltic Sea. But grandma and grandpa did also travel to Scandinavian countries during their holidays when I was not born. I like to listen to these stories and it is causing travel lust. Yeah, traveling again? It’s long overdue because I care too much about other things. I did save money again since a long time now, mainly because I am in the market for some things on my wish list. Most of the time I stick with the plan and don’t get myself something that isn’t on my wish list. There are several small items on my wish list that will come last because they are easy goals anyway, but there are some big things on the list that take a lot longer and I like to climb difficult hills first. I am in the market for photography gear of course, I am especially interested in two lenses that would cost one grand each. The third difficult item on the wish list is a new guitar and would cost as much if not a bit more. It’s not possible to get all three things at once and that is not even my goal, I do just aim for one of the three things. I told myself to make a decision when I am extremely close to be able to afford one of the items. I am at 70% on that mission and I can slow down because I tried to accomplish it before summer, and I am more than on time. When I take a look at my wish list, I see things that I want to use for a long time and that’s how my brain basically defines the word “value”. But I also had it happen to me that my brain did send impulses like “Look, you could just take the money to go on a journey, so why don’t you travel, huh?”. I had this today again when I listened to grandma and grandpa. I don’t have this often, but a half-year ago when a friend told me how awesome his one week trip to Austria was, it was the same. Over the last months when I was bored, I started to research and could find out that many trips would cost less than I actually thought. In other words, if I would kill my piggy bank right now, there would be quite some destinations in Europe where I could spend a week or just a weekend. I told this my grandma today and said “You know, I’d like to get out of here for a week but to me it feels like burning money for nothing other than impressions” and my grandma replied “With that way of thinking you won’t see something with your own eyes”. I think she is right. It’s not that I didn’t see anything in Europe, but it’s definitely true that I did care more about my own front yard over the last decade because it was a cheaper way of living. What did I see so far in Europe? Well, I have been to South France several times in my life and enjoyed the time we did spend in Argelès-sur-Mer, Perpignan, Le Perthus and other places near the Pyrenees. I’ve been to Spain during our holidays in France, as we just had to drive over the Pyrenees to get there. I’ve been to the Netherlands and liked Amsterdam a lot. I was in Denmark since this is very close to our federal state Schleswig-Holstein. So, we did spend most of our holidays in France back then and it was fine, but apart from that I don’t have a big track record when it comes to visiting different European countries. Maybe my grandma is right, I would probably rather spend a grand on something that I can hold in my hands, rather than spending it on impressions. To get out there, I would definitely have to change my mindset. It’s not easy, I’d like to do it, but I have difficulties to spend money for it. What would be my bucket list? I’ve seen Denmark as said, but I’ve never been to the small island Bornholm but I’d like to see this place. The number one is, Stockholm in Sweden, I really want to see this place in my life not only because of the city but also because the surrounding national parks and real wildlife! Generally, I want to see different places in Sweden because I want to see the country of grandma’s ancestors and because they do still have true and wide areas of nature there where I could hike like an insane person. Hiking? I want to see Norway and the Fjords and Finland! A friend shared his impressions, images and videos that he got during his time in Austria, Salzburg and without question that place deserves a spot on my bucket list. I’d like to see different places in Switzerland as well. I’d like to see England, Ireland but especially Scotland due to the nature there. I would want to see the Faroe Islands and Iceland. Not sure if I am made for Greenland, but I would take that challenge. Hopping from island to island, I jump right to the big one and visit Canada! I could go on and on, as everyone else too, I would basically want to visit a ton of countries if I could. I think only political situations would stop me to visit certain countries, otherwise I do think that we have a hell of a lot interesting places in our world, from desert through the jungles over hills, water and through cities. If right next to me or far away, I definitely could go on and the bucket list would be extremely long. Will I change my plan now and visit one of the countries that are close to me? Probably not, because I usually stick with my initial plans. But maybe I should really set up a second piggy bank to save for holidays as well. I maybe can not see every place, but I could see new places once in a time. To be honest, I’ve never been a huge travel fan. The time you spend somewhere else is good, but the journey to the place and back home was often rather stressful in my opinion. Maybe there are people who constantly get the travel bug, I do rather get the feeling less frequently and I value other things that you can do with the same money much more. But yeah, sometimes even I do get the yen to see distance places. Part 1 of the post series “Musing About This And That” can be found here. That would be a bit of a dilemma for me too, travel or save up for wished for items. I think that as travel does not mean as much to you as getting a new lens or guitar perhaps the second piggybank idea might be the way to go. After all travel does give great photo opportunities. I do agree with your grandma though as I’ve always been someone who likes to see things with her own eyes. When David and I were young we loved to travel around our state on steam train trips, take holidays in other cities and in our thirties went on our one big overseas trip. If we had not done those things we probably could have bought nicer furniture, maybe a paid off our house faster or bought a larger one but we wanted those experiences more. I remember David’s mother saying to me once that she thought that we were wise to do our travelling while we were young. I still love to travel but I’m getting older now and I can’t physically do the things I could do when I was thirty. I would say that if you want to hike in Sweden and other parts of Europe don’t leave it too long. Do it while you are young and fit enough to get maximum enjoyment out of it. Also you never know what life will throw at you so if something is important to you make a plan to do it. This past week I’ve been watching railways documentaries about England and seeing that scenery again makes me wish I could go there again but at least I did it so if I never get to Britain and Europe again I have those memories. Yeah, since I value items more that I can use for creativity, I could try something like “70% goes into the materialist piggy bank and 30% for traveling”. Of course that would do both, slowing me down to get lenses, a guitar and so, and it would take quite some time to fill the travel bank, but at least I would try it. Right now, I really would love to see Stockholm, but I bet a week in Stockholm isn’t even enought since the city is very interesting, and the surrounding nature reserves as well. I do agree with photo opportunities. Traveling would give me new and fresh opportunities and this would be really cool. I like what you did with David, local trips, that came to my mind too… there are even tons of German cities that I’ve never seen in my life and that’s where weekend trips could be enough and quite a bit cheaper. The winter time did a good job recently to give me a small midlife crisis (laugh). We care a lot about my uncle and help him with the disease, but it is also eye opening and I had days with selfish thoughts like “You will not have endless time to see the things you want to see, so think about this too”. Or as you said, hiking will get more difficult in the future, that means I do agree, I shouldn’t wait too long. You make another good point at the end, I feel the same when I see France documentaries. Some remind me of our holidays there and they make me want to go there again, but since I’ve been there several times, I don’t have to do it and could rather visit a new place. However, if I never would have been to France, I wouldn’t have interacted with people there, nor would I have got first-hand impressions about their culture, how they live in their places and so on. Even the smallest impressions like eating in a French café in the morning was totally worth it, or trying to order something with my broken French (laugh), not to mention all the big impressions. Good memories, much better than a documentary indeed! I think you won’t be happy until you get your lens but after that maybe think of starting a travel fund to do some short break trips. I imagine travel in Europe is very expensive but if you don’t mind using hostels or have friends you could stay with you could cut costs that way. I always find that the getting there part of the trip is just as much fun, not dragging luggage around or waiting in airports nobody likes that but trains are fun, you can see the scenery and you can get up and move around, get a meal and maybe even talk to people. Road trips by car are fun too because you can stop where you like if you see something you want to photograph. The journey does not have to be all about the destination. 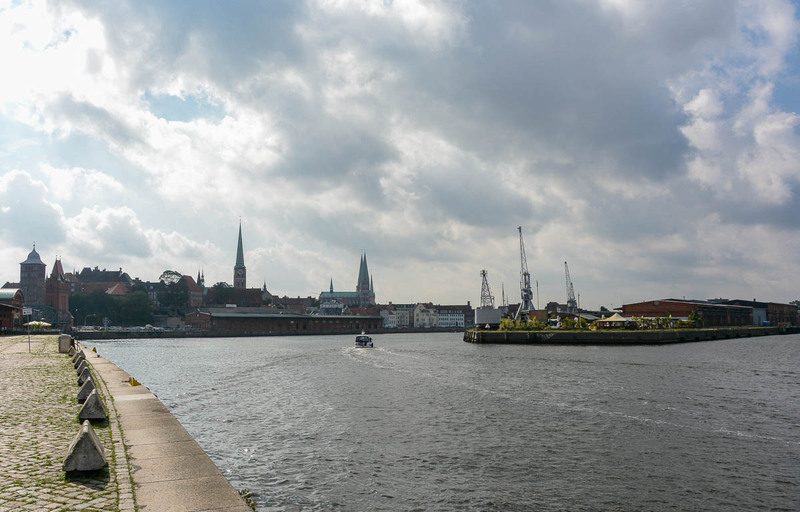 Last year I offered my living room couch to a friend who wanted to stay in Lübeck for a weekend, he said he would offer the same if I want to come down to Berlin for a weekend but the trip would still cost around 120 Euro to get there and to get back home, and that’s quite a bit. Anyway, he offered me to come down during holidays and staying a week would be more worth considering the trip cost. But I’ve seen Berlin so often that it’s not too special to me, but now with the photography hobby I would know how to make the trip interesting again I guess 🙂 I heard about hostels, couch surfing and websites like AirBnB, but that is not so my thing, it’ll be more likely that I take the offer of a friend and there would be some options. I can’t speak for the whole of Europe, but I can definitely say that traveling is extremely expensive in Germany and I could imagine that it’s not different elsewhere. That would count for both travel and accommodation. It’s not as expensive as it was when the Euro currency was new, but still a lot more expensive compared to the Deutsche Mark (at least twice as expensive). But recently during my research I noticed that the prices for hotels aren’t as bad anymore as I thought, it looks like the competition drives the prices in the right direction, but it’s still far from perfect because it’s always about finding the right deal. The biggest joke is the Deutsche Bahn, just take Hamburg for example, you would pay around 20 Euro from Lübeck, and if you want back, you would be at 40 Euro. It’s a neighbor city, imagine that, just 60km away and they set up these horror prices. We always laughed about this, because 40 Euro is such a rip-off, it’s either that, or our currency is simply that worthless, we have no idea. I mean, it’s not really that you could do much with 40 Euro anyways, but you could at least purchase cheap food and drinks in the stores to survice 7 days, just to set it in relation. Or as the example with my friend in Berlin, it would be 120 Euro, that’s insane. Last year I took the train a few times, for example to Bad Oldesloe, and people I saw in the train seemed to be groups of nerdy rich students and business men with apple notebooks (laugh). Looks like they can not attract regular people with these price tags. It’s sad because, I agree with you, generally taking the train is fun. Much more fun than any other way of traveling except for ships maybe. Just get in there, watch the scenery outside, and wait til the train arrived. I’ve never been a fan of long car trips, I can’t sit still for so long, I need room around me and that’s where trains are really cool as you said. I don’t know how the Euro in comparison with the Australian dollar. Train travel does sound expensive though. We were lucky when we travelled because as a railway employee David was entitled to discounts on the British rail system. It worked especially well because in some places the staff had never seen an Australian employee train pass and did not know what to charge us so they often charged us less rather than more. :-). Australians travelling in Europe are often advised to consider the various European rail passes, so many days travel at a set price but for a simple return journey that would not really be good value for money, you need to be making several journeys. Anyway hopefully you will think of a way to do it reasonably cheaply. I have stayed in Youth Hostels which I enjoyed when I was younger but don’t think I would like to do now. I like my own room and a bathroom, back then I was prepared to share with strangers and we did have some good experiences. I don’t think I would like to couch surf. I always found the researching half the fun as I imagined where I would go and what it would be like. Another money saver would be not to travel in the peak tourist season. Of course the weather might not be as good and some things might not be open but nature is always there and you can take photographs in bad weather as you do at home. Winter is cheaper in most places, not ski resorts 🙂 but autumn can sometimes be as pleasant as summer and not as crowded. I thought about colder seasons too, because I noticed too that this would reduce the costs further. Yes, that would definitely be another option to consider. 🙂 And yes, I don’t have a problem with cold weather. Winter at home can be kinda boring but somewhere else it can be interesting. This winter I am pretty bored in Lübeck, but last winter in Reinfeld was pretty interesting because I liked to discover the area around the town, and that did lead to quite a lot of photo uploads and new posts on the blog. 🙂 So, yep, nice idea, autmn and winter would work too! Hehe, yeah good point… that’s the fun about following blogs. I would definitely upload a lot then!